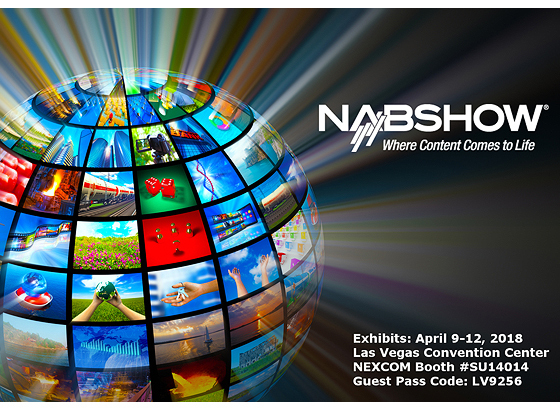 NEXCOM will be exhibiting at NAB Show this year in Las Vegas, Nevada, from April 9-12, where attendees will be the first to see the latest technology, hardware, software, and products driving the next generation of storytelling. From established, global brands to up-and-coming innovators, NAB Show is the destination for ground-breaking tools and solutions to amplify your business. This year, NEXCOM will be focusing on just-in-time transcoding and cloud-enabled solutions using customized appliances. With on-demand media rapidly growing and on the road to replacing traditional broadcast media, there is a transition from existing fixed function hardware to IP-based and software-defined solutions. In turn, NEXCOM has scaled up purpose-built transcoding IP-based appliances to help OEM/ODM partners to stay competitive in the shifting market. Don’t miss out. Come visit NEXCOM at booth #SU14014 (South Upper) at the Las Vegas Convention Center to learn more about its network & communication solutions, which also include network security, HPC, telecommunication, storage, SDN/NFV and industrial security. Register today and be sure to use the guest pass code below for your complimentary Exhibits-only Pass.